Happy Monday! 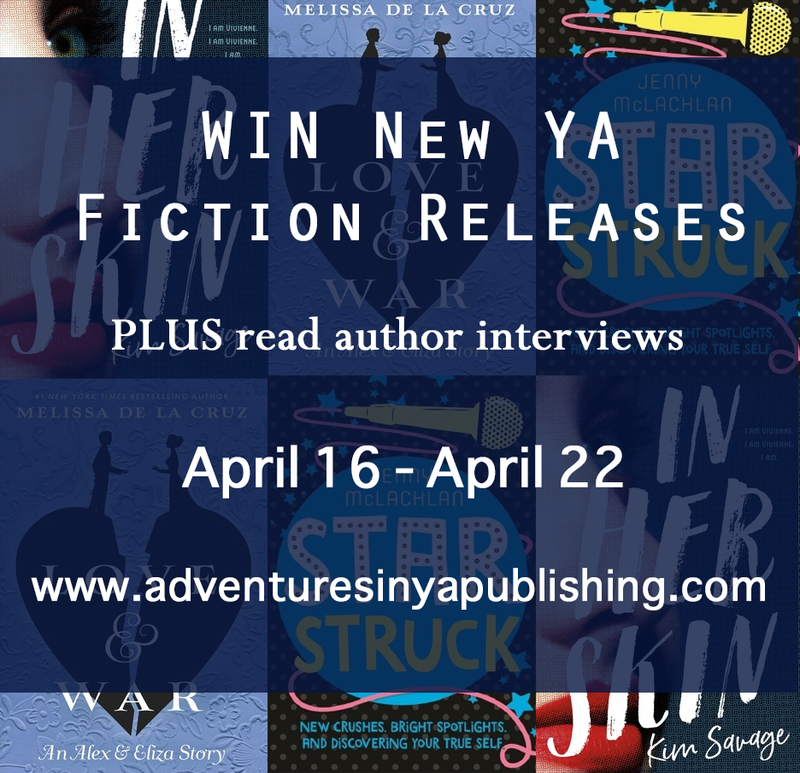 There are only a few books releasing this week but they sound epic and we have a giveaway for two of them! Don't forget to check them all out below. Author Question: What is your favorite thing about In Her Skin? Jo is a magical thinker. Though violence marked her younger years, Jo has decided that finding a perfect family—even if she has to con her way into it—will solve her problems. She also has a habit of repeating things three times (“I am Vivienne Weir. I am Vivienne Weir. I am Vivienne.”) because she thinks it will, as she says, make things so. Jo may be street savvy, but she is also terribly vulnerable. 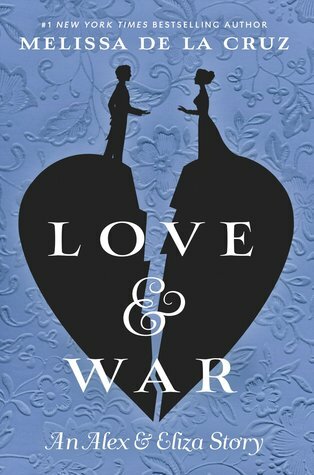 Author Question: What is your favorite thing about Love & War? My favorite thing about LOVE & WAR is how Alex and Eliza adjust to being newlyweds. A love story doesn’t end at a wedding - how do you keep love alive? In the middle of the American Revolution, and starting careers and a new country at that? I also love how brave they both are in both fronts - the battlefield and the home. They are both heroes. Beyond a Darkened Shore by Jessica Leake: Cassandra D.
Given To The Earth by Mindy McGinnis: Emily D.
The Crooked Castle by Sarah Jean Horwitz: Linda L.
Lizzie by Dawn Ius: Branwen O. 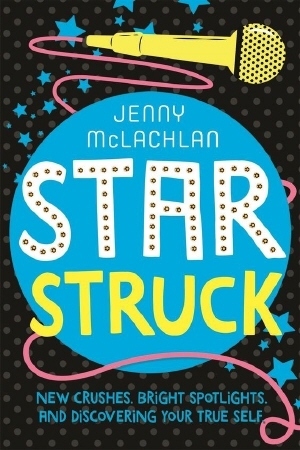 From Jenny McLachlan, the author of Sunkissed, comes Star Struck, the next Ladybirds young adult novel. 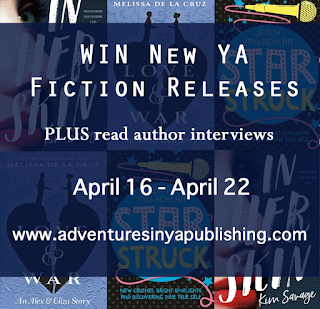 Thanks for the chance to win exciting books. 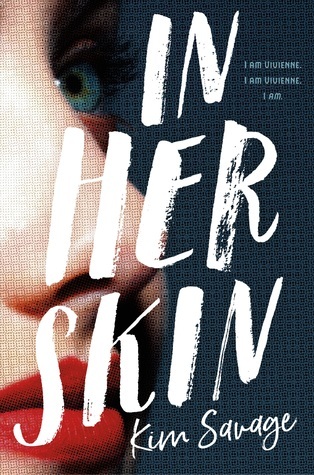 In Her Skin sounds like a spooky read! In Her Skin sounds terrific. Thanks for the chance.